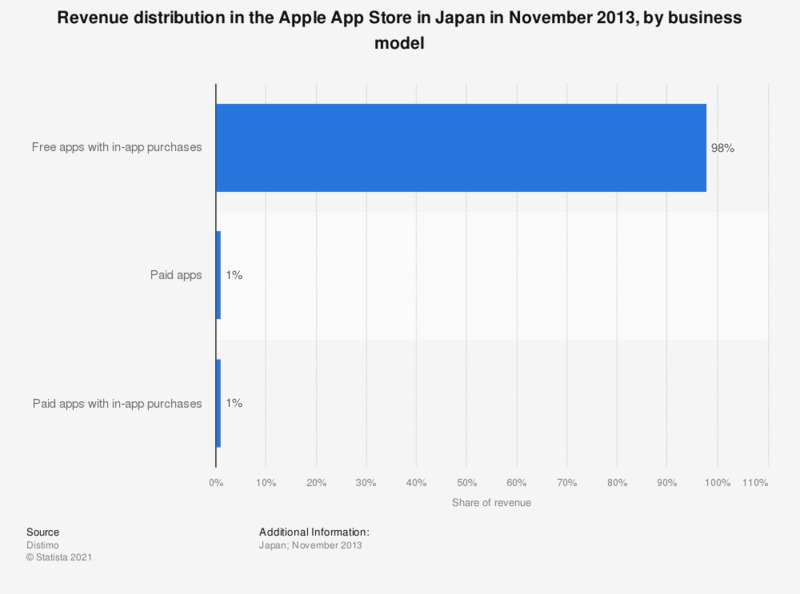 This statistic presents the revenue distribution between several mobile app business models in the Apple App Store in Japan. In November 2013, 98 percent of app revenue was generated through freemium apps - free apps with in-app purchases. Only 1 percent of revenue came from paid apps. Anaylsis was based on the top 200 grossing apps.